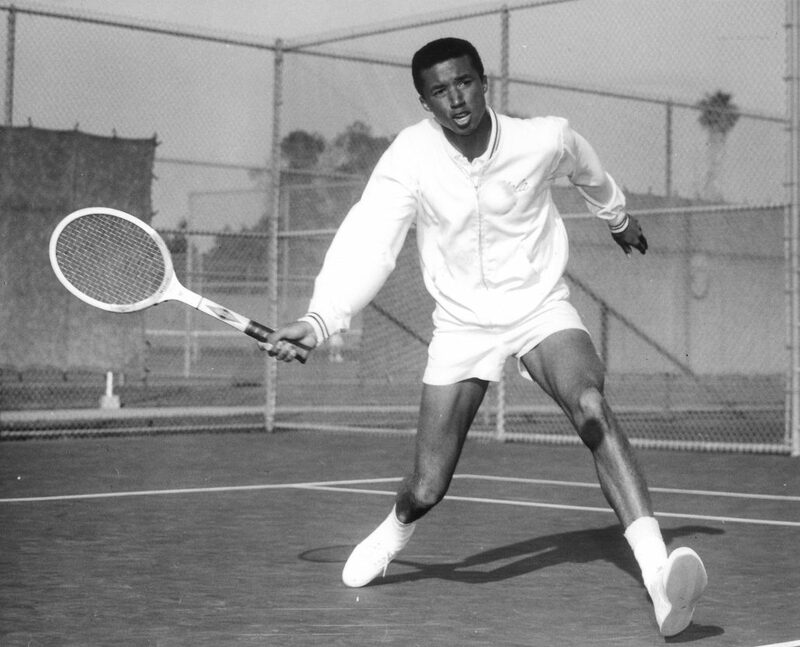 The 2018 US Open Tennis Championships kicks off today, marking 50 years since UCLA alumnus Arthur Ashe ’66 won the tournament’s first men’s singles title. In honor of this milestone, UCLA will pay tribute to his legacy as a tennis champion and humanitarian. 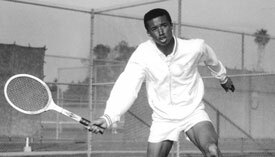 In honor of the 50th anniversary of Ashe’s win, the UCLA College has launched a special Arthur Ashe Legacy social media campaign. Tweet about how Ashe and his legacy inspires you using the hashtag #ArthurAsheLegacy to join in the conversation. A new UCLA Spark campaign will support the Arthur Ashe Legacy Fund. If the campaign’s goal of 50 individual donations of any size is met, $25,000 will be donated to the Arthur Ashe Legacy Fund. The Arthur Ashe Legacy Fund will be used to create physical and digital exhibitions of Ashe’s humanitarian and athletic accomplishments, or to host public events in Los Angeles and around the country. Donor support will help UCLA faculty and historians to develop academic events which will explore Ashe’s life and connect his legacy to the realities faced by current students and community members. As in previous years, UCLA staff and volunteers are operating the Arthur Ashe Legacy booth on the grounds of the US Open for the duration of the tournament. The booth sells merchandise, offers free educational materials and informs visitors about Ashe’s life and accomplishments. Ashe was the first African American male to win the US Open men’s singles title, and the first winner of the tournament in the Open Era. In addition to his 51 titles and over 800 wins throughout his career, Ashe was known for his published writing and his activism around issues including apartheid in South Africa and AIDS awareness. The US Open is one of the Grand Slam tennis tournaments along with the Australian Open, French Open and Wimbledon, and is one of the oldest tennis tournaments in the world. It is held annually at the end of August at the USTA Billie Jean King National Tennis Center in New York. ​Thousands of new UCLA graduates from ages 17 to 60 reveled inside Pauley Pavilion on Friday with cheers, fist pumping and many, many selfies as they officially received their bachelor’s degrees. UCLA remains one of the nation’s best values among public colleges and universities, according to the 2016 Best College Values ranking published today by Kiplinger Personal Finance. 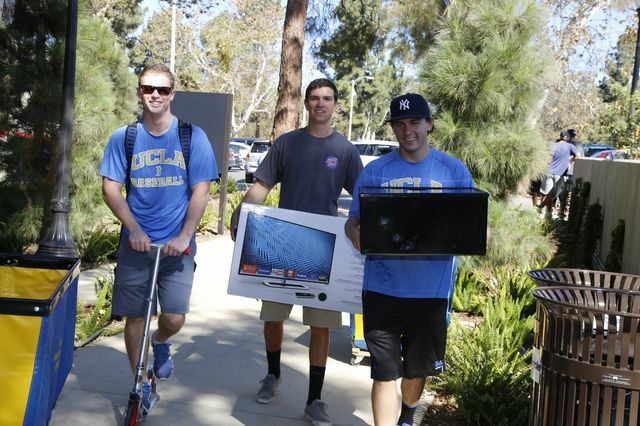 From moving in to to Volunteer Day, all the news and photos about UCLA Welcome Week 2014.